FOR OUR 11TH CONSECUTIVE SUMMER! Talega Golf Course to offer a unique summer camp experience, Surf & Turf Camps. Kelly Slater isn’t the only surfer golfing these days. Many surfers have taken up golf, and golfers have taken up surfing. The attraction to both sports being enjoying the outdoors, surrounded by nature, having fun while getting some exercise. I’ve learned a lot about technique and biomechanics from golf, and its improved my power and efficiency in surfing. – Kelly Slater, 11 time Surfing Champion, stated in a recent article in Outside Magazine. What’s a Surf & Turf Camp? Morning surf lessons at our San Onofre location with our professional surf instructors combined with afternoon golf lessons at Talega Golf Course with PGA professional golf instructors. We are basically combining surf camp with golf camp. 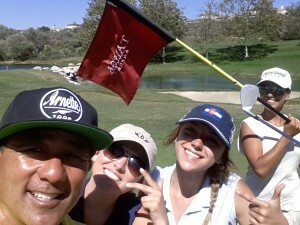 So after your morning surf session you will head up to nearby Talega Golf Course in San Clemente for lunch then some meet up with your Golf Instructors for an afternoon of Golf Lessons. Surf & Turf is open to all levels of surfers and golfers, no experience required. It is offered as both a Day Camp and an Overnight camp. We will provide your equipment (surf and golf) if needed but if you have your own bring it. Camps are open to ages 10+. Surf lessons will be provided at our San Onofre Location from 8am–11am. Surf Lessons will take place in a small group setting, 3 students per 1 instructor(1st time surfers). Surf Equipment will be provided. Instruction will be geared towards all levels of surfers no matter if it is your first time or if you just want to improve your skills. Have a great tasty lunch at Talega Golf Club after a beautiful morning at the beach surfing, our PGA golf professionals and apprentices will now teach you the fundamentals of the game of golf. Our program is set up for the rank beginner to the season golfer. We will provide golf clubs, range balls, refreshments & snacks and a lot of fun! Golf Lessons will take place at San Clemente’s Talega Golf Course, an 18-hole, par – 72 Fred Couples “Signature” Championship Golf Course with Driving Range. Lessons will take place with Randy Chang and his staff of professionals. 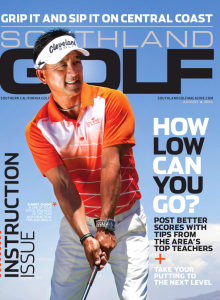 The Aloha Section of the PGA of America named Chang the 2003 Teacher of the Year. Surf & Turf is available for all of above sessions. If you are signed up for a regular Overnight surf camp package and wish to participate in the Turf Portion of the camp you can for an additional $295. Golf Course Information is available by clicking: Talega Golf Course. You can sign up for the Surf & Turf Package by contacting Endless Summer’s main office or you can sign up at the Talega Golf Course Pro Shop. Limited slots are avialable and this is a popular new program, don’t wait too long to sign up. Aloha! Surf & Turf Participants will receive a discount at the Pro Shop! There will be a Friday mini Surf & Turf 9-hole Tournament. Ages for Surf & Turf Camps is 10 and over. Students will be dropped off by parents at our San Onofre Location every morning and picked up at Talega Golf Course in the afternoon. Our shuttle will provide transportation from the surf camp to Talega Golf Course. Lunch Snacks drinks and equipment will be provided.